The best security cameras for your business, small or large, is one of the most important investments you can make. You want security cameras with a range of advanced features to keep a close eye on your business property, day-to-day operations, and even your employees. A professional-grade surveillance system provides peace of mind while fighting theft, vandalism, and shrinkage. 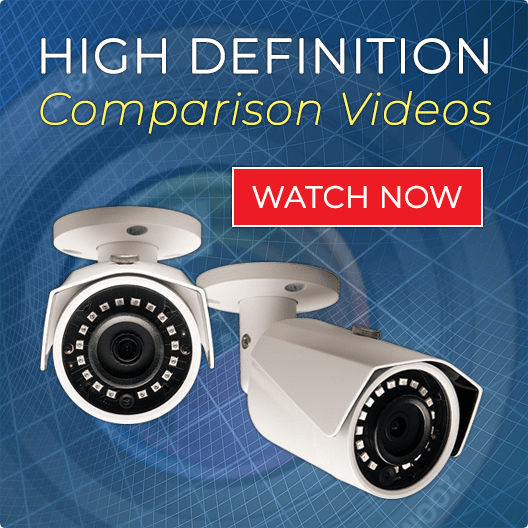 The best commercial security camera system will be different for each industry. Do you need day and night surveillance? Do you want 24/7 video recording and playback capabilities? Is remote monitoring on all smart devices a must-have? Do you need motion detection and night vision? Will you need weatherproof and vandal-proof features for your cameras? Do you need standard camera resolution like 4MP or ultra HD 8MP resolution? Answering these questions will help you determine the best security camera and system for your specific business security and video surveillance needs. For instance, if you’re a retail business, you’ll need dome cameras with wide-angle features. For parking lots and schools, you may look to invest in PTZ cameras with high zooming features and 24/7 video recording features to ensure any incidents are recorded. 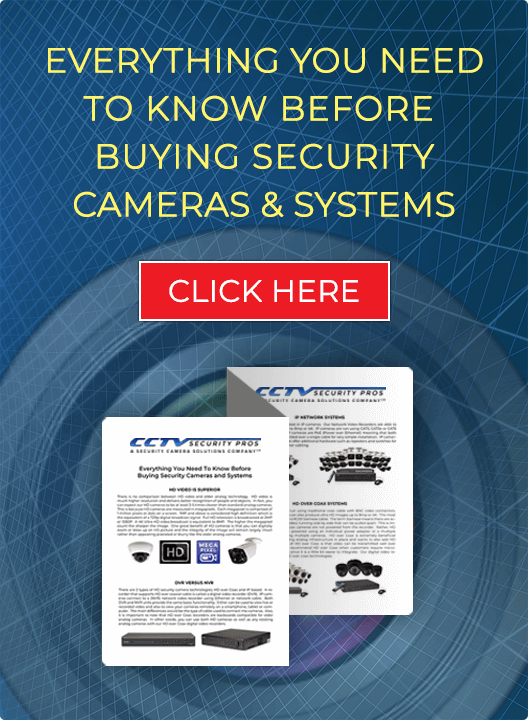 Once you’ve decided what features you want to have with your security camera system, you should be ready to purchase the right system for your business. But, we all know that the question of business security is one that comes with many challenges. For instance, at one time, your business operations may be running smoothly until you start dealing with cases of internal theft in your stores or workplace. How do you handle these challenges? Maybe you have security cameras in place but they didn’t have motion detection or 24/7 video recording, so you didn’t capture any tangible evidence to prove that some of your workers in your store, small business, office, restaurant, construction site, farm or warehouse are stealing from you. The best commercial security camera systems should allow you to solve security challenges as they come. Is your main goal ensuring property security or monitoring people? Are you buying a new security system or in need of an upgrade to a more advanced one? If you plan to monitor people coming in an out of your business, or workers, you need a complete security system that enables you to clearly see fine details such as faces or license plates. If you’re protecting your property, you need night vision cameras that are also weatherproof and vandal-proof. Shopping the best security cameras by business should be easy with CCTV Security Pros. Our product quality is among the best in the industry and our security systems are cost-effective. We provide all types of businesses with complete security solutions down to every wire and monitor with customizable options to suit their needs. Customers can set up remote viewing on phones very easily by scanning a QR code on the NVR. We strive to provide the best services, including free USA technical support so you can get started with your video surveillance quickly and with peace of mind. All our products come with a 2-year warranty and 100% money back satisfaction guarantee. We’ll work with you to design the best security camera for your business. Join more than 60,000 customers who trust our brand for security surveillance solutions. Talk to us at 888.653.2288.